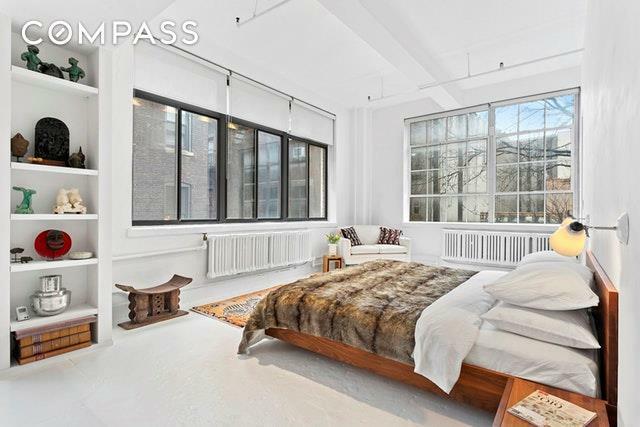 Fashion District - Loft Living - Bordering Hudson Yards!Glorious space. 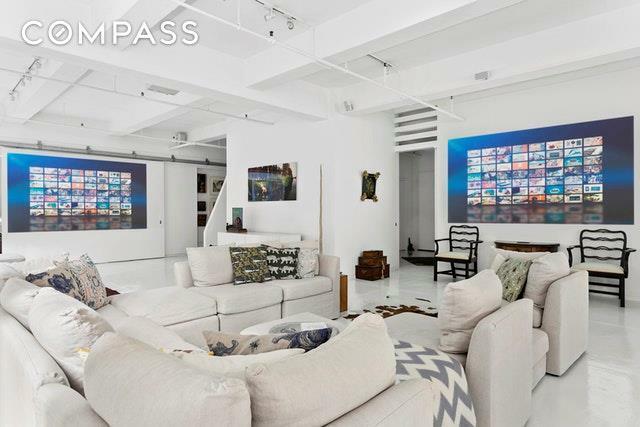 Authentic LOFT in converted factory building. 11 foot ceiling, concrete floor. 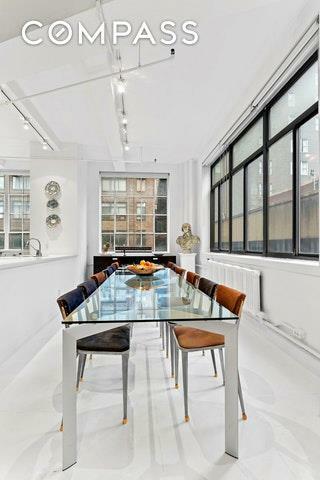 7 foot high East and West windows, and a 72' span of south facing windows.....means LOTS of light all day. Huge rectangular ideal chef's kitchen, dining table for 14. 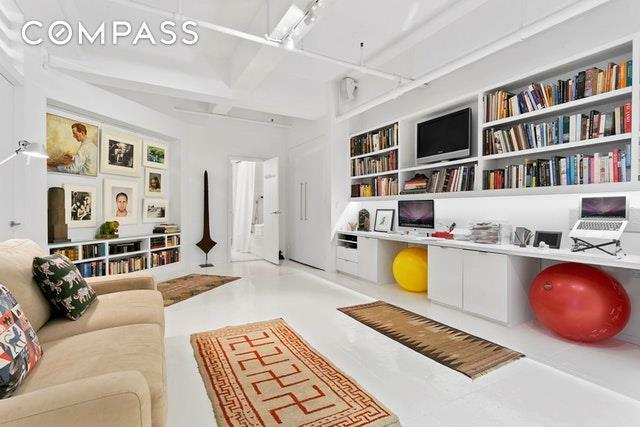 Open space living-entertaining-den-dancing-media space. Great corner bedroom with sliding "barn door" and custom fitted dressing closet. Washer/dryer in unit. An enchanting wood planked large common roof deck with chairs, tables, plantings, a shower, and views in 4 directions is for common use. Includes deeded storage unit. Conveniently located near to extensive public transportation A, C, 1, 2, 3, R, Q, N, LIRR and PATH trains. The Lincoln Tunnel provides easy access to New Jersey. Nearby is Times Square, Herald Square, the Javits Convention Center, and the Broadway theater district. The Hudson Yards Redevelopment Project will include 14 ACRES OF PUBLIC OPEN SPACE including an innovative cultural performance/ART space The Shed. There will be a Neiman Marcus, an Equinox Hotel, high-end shops and restaurants featuring renowned chefs the likes of Jose Andres and Thomas Keller. The rapidly developing Hudson Yards neighborhood will be the focus of attention and investment for many years to come.